Pomona, Calif. -- Eddie Krawiec clinched his fourth NHRA Mello Yello Drag Racing Series Pro Stock Motorcycle world championship, and first since 2012, by qualifying Saturday at the season ending Auto Club NHRA Finals at Auto Club Raceway at Pomona. 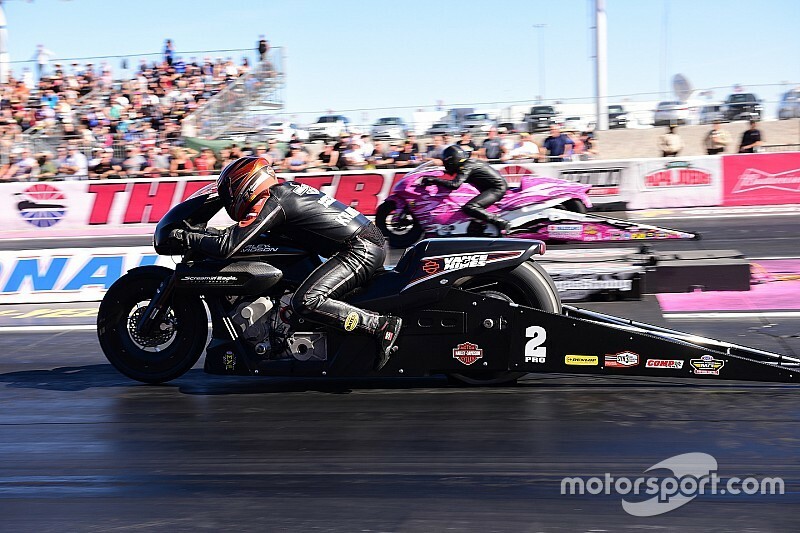 En route to the world title Krawiec rode to seven victories including the first race of the season for the two-wheeled category at the Gatornationals in Gainesville, Fla. and his second Chevrolet Performance U.S. Nationals win in Indianapolis. In the NHRA Mello Yello Drag Racing Series Countdown to the Championship, Krawiec cemented his fourth crown with four wins in the first five races and took the points lead when the team left the NHRA Carolina Nationals in Charlotte, N.C.
Krawiec powered his Harley Davidson to a 6.781-second pass at 197.68 mph to earn his sixth No. 1 of the season and 29th of his career. Krawiec will face Lance Bonham in the first round of eliminations. His teammate, Andrew Hines is qualified second and will race Ryan Oehler in eliminations. Chip Ellis is third. 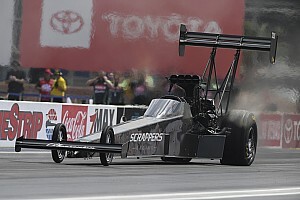 In other racing, Brittany Force (Top Fuel), Jack Beckman (Funny Car) and Greg Anderson (Pro Stock) were also No. 1 qualifiers in their respective categories at the final race of the 2017 NHRA Mello Yello Drag Racing Series season. Force piloted her Monster Energy dragster to a track elapsed-time record 3.667 pass at 330.31 on Friday for her second No. 1 qualifier of the season and eighth of her career. Force will be paired with Terry Haddock in round one of eliminations. She enters race day second in the championship points battle, trailing leader Steve Torrence, who is qualified fifth, by nine. Clay Millican holds the No. 2 spot with a 3.671 pass at 328.22 and Leah Pritchett is in third. Beckman ran a 3.835 pass at 334.98 in his Infinite Hero Foundation Dodge Charger R/T Funny Car for his second No. 1 of the season and 23rd of his career. 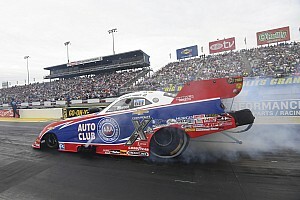 Beckman will see Jeff Arend in the first round of eliminations. Qualified in second is Tim Wilkerson with a 3.863 pass at 334.98 from the final qualifying round. He’ll race points leader Robert Hight in the first round. Courtney Force enters race day in the third position. In Pro Stock, Anderson, the points leader, secured his sixth No. 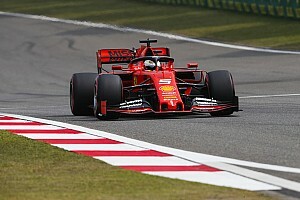 1 qualifier of the season, 93rd of his career and second consecutive by racing his Chevrolet Camaro to a 6.541 at 209.79. Anderson will open eliminations against Alan Prusiensky. Jason Line, Anderson’s KB Racing teammate, is qualified second after a 6.546 at 210.14 and he’ll line up against Deric Kramer. Anderson and Line’s teammate, Bo Butner is in fifth. All three KB Racing Chevrolet Camaro’s are in contention for the world championship. Eliminations begin at 11 a.m. at the 53rd annual Auto Club NHRA Finals. 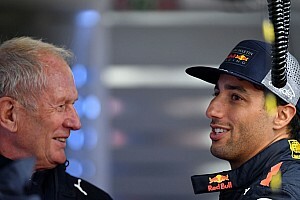 Top Fuel — 1. Brittany Force, 3.667 seconds, 330.31 mph vs. 16. Terry Haddock, 3.874, 307.51; 2. Clay Millican, 3.671, 328.22 vs. 15. Shawn Reed, 3.839, 305.01; 3. Leah Pritchett, 3.674, 326.32 vs. 14. Scott Palmer, 3.813, 313.22; 4. Antron Brown, 3.696, 326.87 vs. 13. Mike Salinas, 3.796, 322.50; 5. Steve Torrence, 3.719, 289.26 vs. 12. Troy Buff, 3.785, 320.43; 6. Tony Schumacher, 3.721, 328.54 vs. 11. Shawn Langdon, 3.784, 320.13; 7. Doug Kalitta, 3.738, 326.71 vs. 10. Wayne Newby, 3.784, 326.32; 8. Richie Crampton, 3.748, 320.28 vs. 9. Terry McMillen, 3.753, 323.81. Did Not Qualify: 17. Blake Alexander, 3.877, 315.05; 18. Steve Faria, 4.096, 232.71. Funny Car — 1. Jack Beckman, Dodge Charger, 3.835, 334.98 vs. 16. Jeff Arend, Chevy Monte Carlo, 4.140, 252.90; 2. Tim Wilkerson, Ford Mustang, 3.863, 331.69 vs. 15. Robert Hight, Chevy Camaro, 4.132, 270.10; 3. Courtney Force, Camaro, 3.871, 334.57 vs. 14. Jeff Diehl, Toyota Solara, 4.107, 296.31; 4. Tommy Johnson Jr., Charger, 3.887, 324.67 vs. 13. Bob Bode, Charger, 4.037, 317.05; 5. Alexis DeJoria, Toyota Camry, 3.894, 331.94 vs. 12. Jim Campbell, Charger, 4.020, 315.42; 6. Ron Capps, Charger, 3.897, 328.22 vs. 11. Del Worsham, Camry, 3.978, 322.65; 7. Matt Hagan, Charger, 3.898, 333.08 vs. 10. Gary Densham, Mustang, 3.968, 320.66; 8. John Force, Camaro, 3.935, 327.51 vs. 9. J.R. Todd, Camry, 3.946, 325.53. Did Not Qualify: 17. Jonnie Lindberg, 4.305, 295.34; 18. Cruz Pedregon, 4.321, 281.95; 19. Tim Gibbons, 17.653, 73.20. Pro Stock — 1. Greg Anderson, Chevy Camaro, 6.541, 210.93 vs. 16. Alan Prusiensky, Dodge Dart, 6.665, 207.34; 2. Jason Line, Camaro, 6.546, 210.93 vs. 15. Deric Kramer, Dart, 6.622, 209.14; 3. Drew Skillman, Camaro, 6.555, 211.69 vs. 14. Kenny Delco, Camaro, 6.614, 209.88; 4. Jeg Coughlin, Camaro, 6.558, 210.47 vs. 13. Matt Hartford, Camaro, 6.599, 210.73; 5. Bo Butner, Camaro, 6.559, 211.20 vs. 12. Shane Gray, Camaro, 6.595, 210.64; 6. Tanner Gray, Camaro, 6.562, 210.64 vs. 11. Alex Laughlin, Camaro, 6.583, 210.24; 7. Erica Enders, Camaro, 6.564, 210.14 vs. 10. Allen Johnson, Dart, 6.583, 209.95; 8. Chris McGaha, Camaro, 6.571, 211.36 vs. 9. Brian Self, Camaro, 6.574, 210.57. Did Not Qualify: 17. Steve Graham, 6.684, 207.40; 18. Shane Tucker, 6.714, 205.91; 19. Val Smeland, 6.766, 202.94; 20. Joey Grose, 6.797, 204.08. Pro Stock Motorcycle — 1. Eddie Krawiec, Harley-Davidson, 6.781, 197.77 vs. 16. Lance Bonham, Buell, 7.152, 187.94; 2. Andrew Hines, Harley-Davidson, 6.799, 197.45 vs. 15. Ryan Oehler, Buell, 7.002, 188.17; 3. Chip Ellis, Harley-Davidson, 6.805, 196.56 vs. 14. Katie Sullivan, Suzuki, 6.967, 191.02; 4. Scotty Pollacheck, Suzuki, 6.817, 195.17 vs. 13. Freddie Camarena, Suzuki, 6.955, 195.11; 5. Hector Arana Jr, Buell, 6.828, 198.15 vs. 12. Matt Smith, Victory, 6.953, 195.73; 6. LE Tonglet, Suzuki, 6.861, 195.96 vs. 11. Karen Stoffer, Suzuki, 6.932, 192.25; 7. Joey Gladstone, Suzuki, 6.873, 193.79 vs. 10. Angie Smith, Buell, 6.912, 193.60; 8. Steve Johnson, Suzuki, 6.878, 193.96 vs. 9. Jerry Savoie, Suzuki, 6.885, 193.79. Did Not Qualify: 17. Luke Crowley, 7.154, 189.68.